This week, we’re excited to highlight six posts from Elaine Johnson, the coordinator of LEAP (our Life skills, Education and Arts Program). We asked her to write about her five favorite moments from 2017. Looking back at 2017, I couldn’t just list five classes or five trips because what stands out from LEAP is a compilation of experiences, accomplishments and feelings. While LEAP classes are held at a specific time and place, the LEAP community is much further reaching—it’s the poem that is written after hours, the 112th photo taken for a photography class and the epiphany that changes a woman’s outlook entirely. I am lucky to share in so many of those moments that it is difficult for me to narrow down my favorites to such a tiny number! It is important to take a moment and note that many of these experiences were only possible because of the support of the Calvary community. Without the persistence of our volunteers, the generous support of our partners and the donations of individuals near and far, we would not be able to share these experiences with the women. 2017 was a hard year for many. Every year is a hard year for a woman experiencing homelessness. But at Calvary, every year is also a series of triumphs, large and small. I’m proud to be a support and a witness to the wonderful things that happened this year, and look forward to working alongside my colleagues and our residents to make both great memories and real change in women’s lives in 2018. 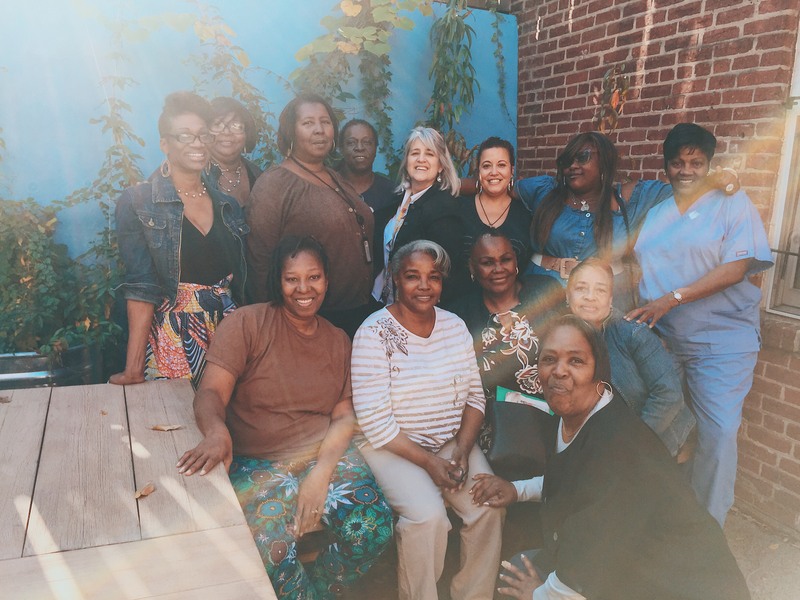 Calvary Women’s Services provides housing, health, education and employment programs to empower women to move out of homelessness. To support our programs like LEAP, please consider making a donation.